I wrote this piece almost 2 years ago. But given what is going on in our world right now, I dug it out and reread it. Sadly, it is still quite relevant. Sending Love Out Into the World. 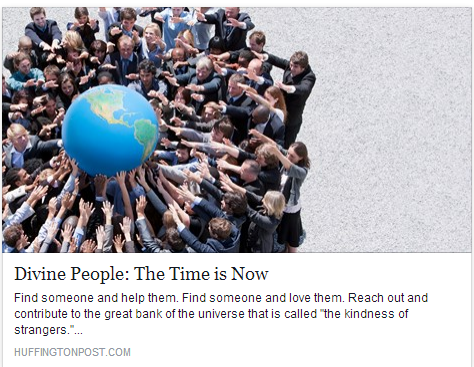 In contemplating all that is going on this world, I was moved to write a piece that was published in The Huffington Post: Divine People, The Time is Now. Please read it and share it as you see fit.